If you removed the chassis from the rack during a service procedure, reinstall the chassis to maintenance position before you install it all the way into the rack. Place the ends of the chassis mounting bracket into the slide rails as shown in Reinstalling the Chassis in the Rack. 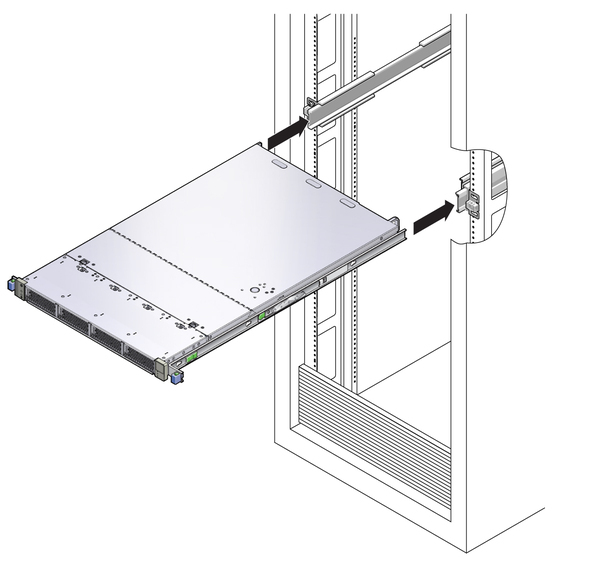 Slide the server into the rack until the brackets lock into place.